I'm a former skinny guy. I'm still tall and pretty lanky. You'd never mistake me for a football player. But I used to a skinny, lanky, tall guy. I weighed in at a pretty high body fat percentage but just around 170 pounds. Skinny-fat, weak, and for all of my lifting I didn't have all that much to show for it. I learned to eat more and train better, and it did wonders for my build. If you're on the other end of the scale - eating comes easily, you need to lose pounds, and it's not a lack of muscle but too much body fat on top of the muscle that keeps you from looking and feeling your best - this isn't aimed at you. This is for the guy who says, "But I DO eat!" but just can't seem to pack on some size. One of the big problems skinny guys - especially lanky lean guys - have is getting sufficient calories. You're lean for a reason. It could be a natural tendency and your build. But it also reflects your habits and diet. You probably move a lot. You don't eat a lot - and if you do, it's not a calorically dense diet high in protein and micronutrients. You probably eat a lot some days, but then much less on subsequent days. Add in hard training - especially hard weight training - and you're not going to get anywhere. You might need 3000, 4000, even 5000 calories a day to gain muscle. You take in 6000 on that day you ate at the all-you-can-eat buffet, but then barely 1500 the next day and 2000 the day after. Instead of the 12,000 you needed over those three days to give your body the resources to gain, you've had 9,500. Here are three easy ways to ensure you get in enough calories every day. 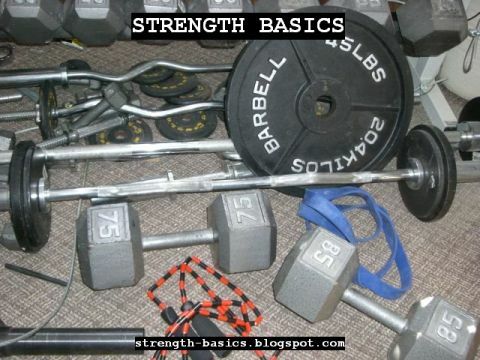 All of these assume you are training hard, and training for strength and hypertrophy (muscle gain). They'll surely put weight on you even if you don't train, but no one is to blame but you if you do that and end up with more gut than glory. A Gallon Of whole Milk A Day. On top of whatever you eat, drink a gallon of whole milk. Have a brand-new gallon jug waiting for you each day. Open it up in the morning, finish it before you go to bed. Repeat every day. Don't skip. And more than 4 grams of calcium and 5.5 grams of potassium. If you add that on top of even a poor, low-calorie diet (say, 1200-1500 calories of other food per day), you will be getting in 3500-4000 calories a day and 125 grams of quality protein. It's even better on top of good quality real food in sufficient quantities. It's a simple plan to follow, too, and compliance is yes/no. Is there still milk in the jug? You didn't finish. Was it every day? If not, then you're off the plan. And I know from my own experience with weight gain, a skinny guy can find it depressingly easy to miss a day or two . . . and then the scale weight drops back down rapidly. My personal experience: I tried this. It was my first sign that I had a milk allergy. On the plus side, it was easy to get in the calories. I know others who have tried this with a lot of success. If you have no issues with dairy, take a hard look at this. It's a good short-run gaining program, especially when coupled with a solid beginner routine. This I got from Jim Wendler. The idea is simple - get a pound of relatively lean meat every day. Cook it, eat it. It's roughly 1000 calories in a raw pound, and about 85 grams of protein. Push that up to 1.5 pounds or 2 pounds. It's an easy to cook food, versatile, tasty, and effective. Like GOMAD, it's easy because you either did it or you didn't. You can't claim to have had enough food if there is still some of your pound of beef in the fridge. It's harder to get down this food than drinking extra milk calories. But on the plus side, it's solid food and fewer people have beef issues than dairy issues. My personal experience: I've done a variation with chicken. I would east an entire chicken breast - well in excess of a pound - every day. I'd pick up a family pack and cook and eat one every day. Not a little 6 oz half breast, either - a full meaty one. I used to take the skin off, but if I did it again I'd leave it on - why toss perfectly good calories, especially since fat is also important to the body's health? In my case, it worked - the extra protein and extra calories really helped me put on muscle. This is an old one; I can't even remember where I first heard it. It's easily the most expensive since even cheap protein powder isn't that cheap compared to the same calories and protein in whole food. But the idea is simple - wash down, or follow up, every meal with a 2-scoop protein shake. Something with about 50g of protein in total. Make sure you include some kind of fat (I used to blend in peanut butter) and some kind of carbs (I'd put in a banana). If you can handle dairy, base it on yogurt or whole milk. If not, water or almond or coconut milk will do. Stock up on enough protein to go a few weeks, get some peanut butter, and clean out the bananas at the store. Freeze some if you need to ensure you have a supply on hand. 3-5 times a day when you eat, down that shake, too. Because it's liquid, it's easier to get in the calories. Personal Experience: This probably worked the best for me. The time I was simultaneously the heaviest and the leanest of my life, I did this. I had two shakes a day, not three, but I put a lot into them. I had two extras on workout days - a during-workout and post-workout shake - because of the length and difficulty of my workouts. But day in, day out, I drank a protein/fat/carb shake with two of my meals and piled on extra food in general. The shakes made getting in the calories I needed easy. And if I was closing in on bed time and needed more calories, I'd just put in more carbs and more fat into the shake and drink it down. I ended up almost 10 pounds heavier than when I started, and significantly stronger. I eventually dropped a lot of the weight I gained, but it was a good and positive experience for me. I know what my body's comfortable weight is now. Trying to push past it was very hard, but very enlightening. It let me get familiar with my body's fluctuations in way that just holding at my comfortable weight would never have done. - Train hard, and train for strength and size. Go with a good routine or a good trainer on board with your program. - Don't cut back on other food on your non-training days. Recovery is when you grow, so don't stint. - Don't add in extra cardio to avoid getting fat. You won't, generally, if you train hard. Don't worry about your abs when you're trying to get bigger legs, glutes, shoulders, etc. One thing at a time. - Log your food. It's easy to think you ate more than you did. Especially skinny guys, who overestimate what they eat. It's a mirror of overeating, and fat loss, but the same tools work. Log, log, log. - Stock up. You don't want to miss a day because you weren't ready. Your fridge should be stocked today for at least tomorrow's food. Two days is better. - Set a time limit. Do one plan for 30 days and see how it goes. Ditch it if there are side effects (my GOMAD experience led me to my MD.) But otherwise, stick with it the whole time. Don't change your plan, don't deviate, and don't try to do "All of the above" - not milk today, beef tomorrow, shakes the day after. One plan, and keep at it. - Talk to your doctor first, especially if you've got any history of allergy or intolerance issues with food. See above - I probably should have seen the signs of milk issues before I tried squats and milk to gain muscle. If I had, it would have saved me starting back over from scratch once my allergic reactions ended. In short, to go from "skinny guy" to "built guy" takes consistent calories. I hope those three strategies above give you some idea of how to go about it in your own case. And don't forget to lift.